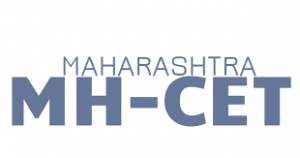 MH CET or MHT CET is widely known as Maharashtra Technology Common Entrance Test.MHT CET is the popular state level examination which is scheduled by the state of Maharashtra for the admissions to Undergraduate programs in various engineering institutes in the state of Maharashtra. MHT CET Applications will be made available from 1st March on the official website. Every year, MHT CET will be conducted by The Directorate of Technical Education (DTE) Maharashtra in order to examine the eligibility of the candidates for screening. To apply for this entrance exam the applicant has to be a citizen of India. MHT CET will be conducted for 2 papers – Paper I for the Mathematics subject, Paper II for Physics and Chemistry. This exam will be conducted via offline mode (Pen and Paper Based). Aadhaar Card: Aadhaar card is mandatory for applying to MHTCET exam. One must have Aadhaar card details in order to fill MHTCET Application details. Participating Institutes: Undergraduate Programs offered by many engineering institutes located in the Maharashtra state. One must select an engineering institute based on their respective marks. Approx. 10 questions will be asked from 11th standard and 40 questions will be asked from 12th standard. MHT CET exam has raised its difficulty level which is almost similar to JEE Main exam. Questions asked in MHT CET exam will be on Application Based. The applicants should have passed 10+2 or equivalent exam with Physics,Chemistry,Mathematics subjects 50% for general category. The applicants should have the domicile of Maharashtra. The candidate has to pass the 10+2 Examination from any recognized board of India. The applicant has to be minimum of 17 years of age in regards to apply for MH CET. The MH CET Application Form will be released by the authority in the first week of March, and available till the fourth week of March. The application fee will be Rs.800 for open candidates and Rs.600 for reserved candidates like ST/SC/OBC. The fee payment will be made through the challan of SBI Bank in the name of "Director, Technical Education, Mumbai" payable at Mumbai. Candidates are also required to pay Rs.60/- extra bank charges. The application form to be filled through online. Once the registration is completed, the applicant can fill the online application form. The exam will be conducted through offline (pen and paper based) mode. The question paper will comprises of objective type questions. Candidates are required to use only black ink ballpoint pen to mark answers. Engineering degree courses candidates are required to appear for paper 1 and paper 3. Heath science degree and other courses aspirants are required to appear for paper 1 and paper 2. There will be no negative marking for incorrect response. In the MH CET exam the questions will be asked from Physics, Chemistry, Biology and Mathematics subjects. The MH CET syllabus will be the same as for the HSC examination of HSC Board of Maharashtra. For Admit Card, the candidate has to visit our official website any time between April to May and take a print out of the same where your MHT-CET Roll No., the address of the test centre will be mentioned. Candidates can view their results through the official website of the authority. The MH CET 2018 Result will be announced in the first week of June, 2018. For admissions a merit list will be prepared separately for all the courses on the basis of marks secured by the candidates in the entrance test. Candidates seeking admission to professional course of Engineering in following seats shall apply through Centralised Admission Process(CAP). When will MHT CET Btech online registration begins? For Btech program, MHT CET online application form will be released on the 21st January. The eligible candidates can apply for it. When will be MHTCET Application form will be made available and where should i fill the Application form? MHTCET Application form will be made available from the 1st week of March . Last Date for the submission of the MHTCET Application form will be on the 4th week of March . The candidates need to visit the official website in order to fill the MHTCET Application form. The candidates need to fill the MHTCET Application form via online mode. They need to enter their respective email id, password and mobile number in order to login. Then they need to upload their recent passport size photo and signature. Then they should fill the complete details in the MHTCET Application form. I want to know the MHTCET Eligibility criteria for Btech program in order to apply for the MHTCET exam? Qualification criteria: The candidates must have qualified their 12th standard or its equivalent exam from a recognized university. Mandatory subjects: Physics and Mathematics with one of the Chemistry /Biology/Biotechnology/Technical subjects. The candidates who are appearing for 12th examination can also apply as they also fulfill the MHTCET Eligibility criteria. Citizenship: the candidate should be citizen of India. Age criteria: There is no criterion for age limit in the MHTCET Eligibility criteria. May I know what is the MHTCET Application Form fee amount? After MHTCET Registration, the candidates need to make the required payment. For General cadre, MHTCET Application Form fee costs Rs 800, for reserved cadre, MHTCET Application Form fee costs Rs 600. The candidates are required to download the challan and print the same and need to submit the MHTCET application fee via SBI branches. Can I know the marks distribution for MHTCET Paper 1 & Paper 2 in MHTCET Exam Pattern? The candidates need to appear for both MHTCET Paper-1 as well as MHTCET Paper-2. MHTCET Paper -1 will have Mathematics subject. MHTCET Paper -2 will have Physics and Chemistry subjects. MHTCET exam will be conducted via offline mode (Pen and Paper mode). MHTCET Paper-1 will comprise of 50 MCQs where 2 marks will be allotted for each correct answer. MHTCET Paper- 2 will comprise of (50+50) MCQs where 1 mark will be allotted for each correct answer. The Duration of the MHTCET exam is of 1 hour 30 Minutes. which are the important sections asked in MHTCET Syllabus for Physics and Mathematics? Consists of 20 chapters which will be asked from both 11th and 12th class syllabus. As per the complete analysis made on the Physics syllabus, majorly 6 questions will be from Kinetic Theory of Gases and Radiation and other important sections are Atoms, Molecules, Oscillations and Nuclei. Consists of 20 chapters which will be asked from both 11th and 12th class syllabus. As per the complete analysis made, majorly 9 questions will be from Integration and other important sections are Differentiation, Trigonometry and 3D Geometry.